What started as a boy's after-school project request has turned into a man's mission. Joel Evans, Electrician Supervisor for the Architect of the Capitol's Supreme Court jurisdiction, has spent more than 16 years mentoring children with the help of animals. "My son came home one day and said, 'Dad, I think I'd like to raise pigs,'" Evans said. They talked over the details and "it turned out to be a really good thing." Together they joined the local chapter of 4-H, a youth development organization that aims to provide young people with hands-on learning experiences. The programs themselves are designed for children ages 8-18, but there are also plenty of opportunities at 4-H for adults, and that’s what has kept Evans engaged long after his son graduated. "We do a lot of public service activities," he said. Evans spends a week each August volunteering with his local 4-H chapter at Maryland's Howard County Fair. 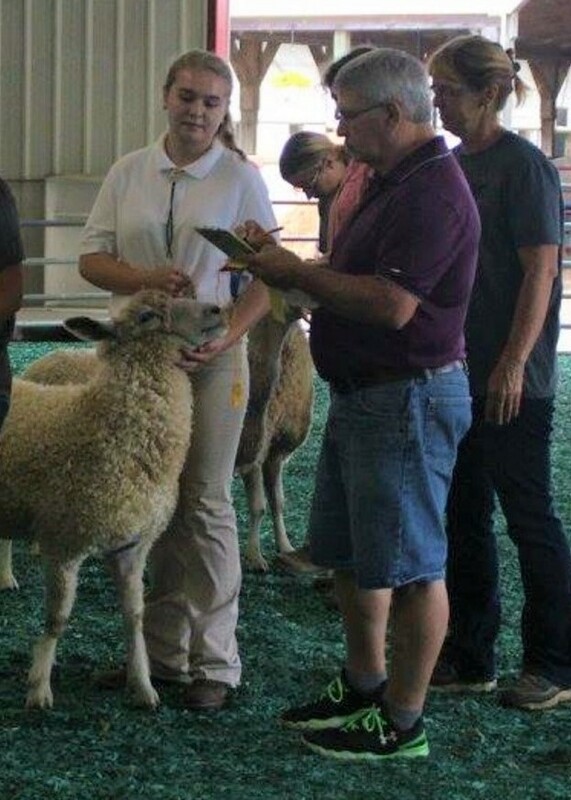 He reviews livestock entries for competitions, making sure they are classified correctly, and works directly with the kids in the 4-H program to weigh in their animals and answer any questions they may have. "It's a great benefit to the kids. It teaches them a lot of responsibility and is kind of like sports in that they learn the good and bad of it, both winning and losing. It builds their character," Evans said. There's more to 4-H than livestock and farm-related projects. "There is a whole array of subjects that kids can get into," he said, "from sewing projects to public speaking, even rocketry and computer science. You name it, it's probably a part of 4-H."
The skills and lessons learned through 4-H extend far beyond the projects completed. The students are better prepared for their future careers and some eventually get their first jobs as a result of their 4-H experience. Evans is motivated by these rewards of mentorship, "It's nice to see the kids evolve. It’s all about their personal growth."